OWNERSHIP of Churchward ‘28XX’ No. 2874 has been transferred from Dinmore Manor Locomotives Ltd (DMLL) to the newly formed charitable 2874 Trust, which will now take on the overhaul of the Gloucestershire Warwickshire Railway-based loco. 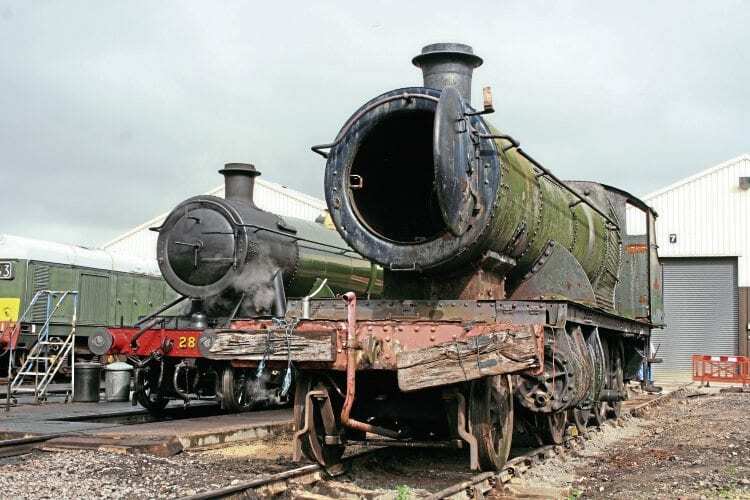 The trust is under the leadership of former Glos–Warks chairman Malcolm Temple, and formally took custodianship of the 1918-built 2-8-0 on December 20. However, it is expected to be operated by DMLL when its restoration is eventually completed. The locomotive is pictured at Toddington alongside restored sister No. 2807 on September 14, 2015.